So now I have a lovely grey boy (snow white in fact) to show I need to get a new show jacket to match him (I use a light brown checked one with Navy Velvet trim on Pasha with Burgandy Tie.... So do I go for a lovely Green Tweed OR Navy? AND what colour tie? I'm leaning towards Navy as I could then use it for Dressage too (although I have a lovely Dressage Jacket, the material just isn't suitable for showing). OR does anyone have any alternative suggestions? 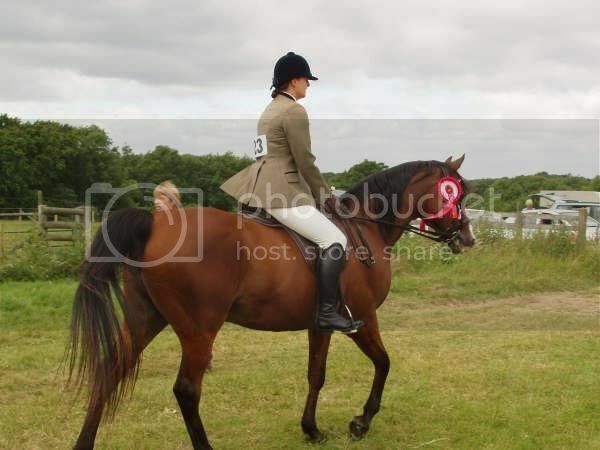 If you are doing novice ridden and dressage a Tweed, a colour of your choice will do just fine. I wouldn't wear a navy jacket for showing. I do like either the green or brown tweed myself. 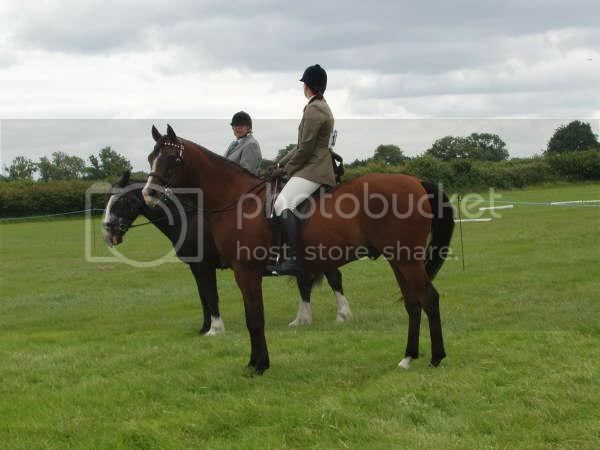 If you have brown tack on your grey then the brown would look smart. & its a little less common. wish i had not opened those links, thats another thing i am now looking at adding to my savings shopping list, What do peeps think of the green with navy trim on a bay? Whatever you go for..you must post pictures!! This is my current one (on Pasha).... i've always worn brown on him as he is bay, but the new one is going to have to go out in black tack (shock horror) as that's all we've got at the moment. Oh dear!! angelarab - have you heard the saying 'blue & green should never be seen'? ekkk no i hadn't i live by the laws of sod so better not bring any more my way..Thanks for the tip. I always thought it was red and green? !